The Business of fake goods costs the Kenyan government an upwards of $1 Billion each year in lost revenues. Jemima Mwafuga a perfume seller found it hard to keep customers because of inability to verify her products. Ms Mwafuga however saw significant improvement since she began using Barcode Scanner, a smartphone app that authenticates products. Kenya created the Anti Counterfeit Agency (ACA) in 2010 in a bid to stay a step ahead of those making fake goods. Agnes Karingu, the agency’s acting deputy director says they are looking at various IT solutions to assist end users authenticate products and share the information with ACA and intellectual property holders. The Agency is currently testing an app called AllVirtuous, which relays barcode information into a database and sends back instant results to the app user. 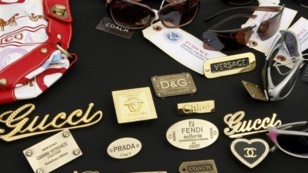 The International Chamber of Commerce says that counterfeit goods around the world are expected to exceed $1.7 Trillion in 2015, which represents 2% of the total current global economic output.